These snakes seem surprisingly easy to photograph in some ways, and very challenging in others. They’re very calm. 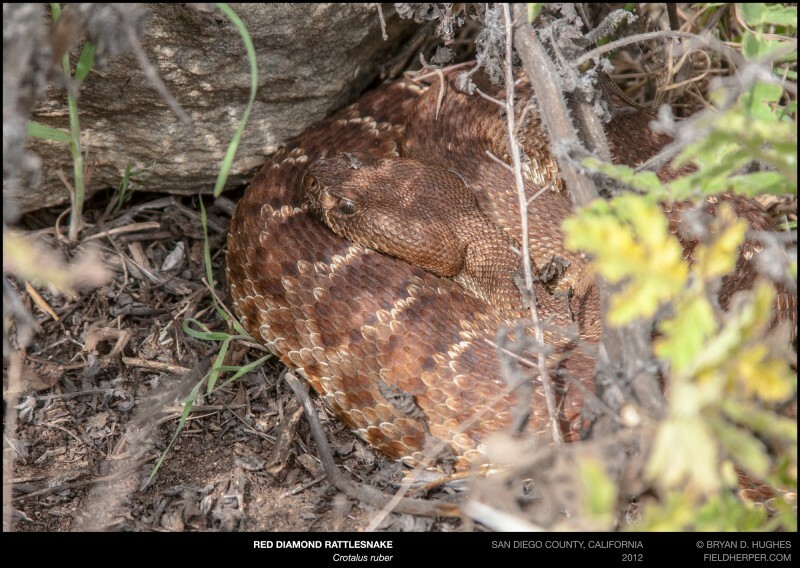 They don’t seem to spook as easily as other species of rattlesnake, which fits their relaxed attitude in other aspects. They rarely rattle, and just hiss, puff, and try to look larger or just leave. In most cases, we can photograph them as they are found without trouble. 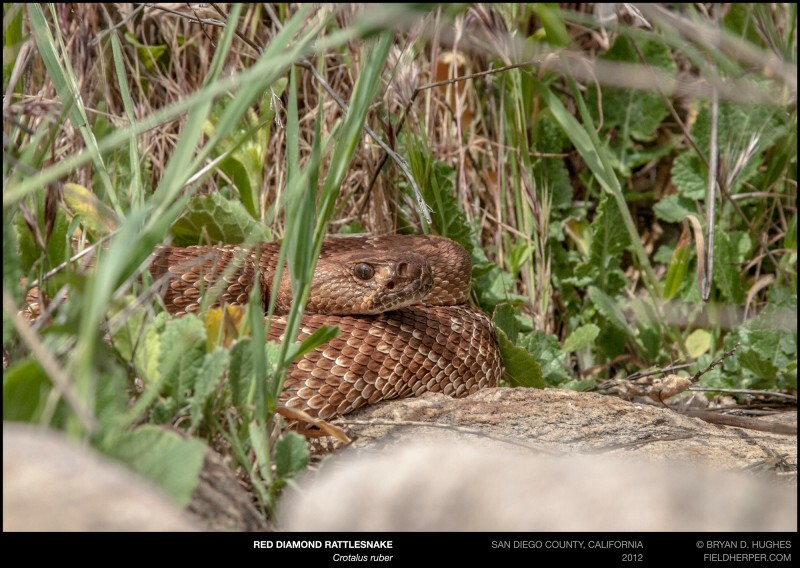 The challenge comes from the grassland they’re found in – the snake, even when fully exposed, is rarely without at least some level of grass in the way. 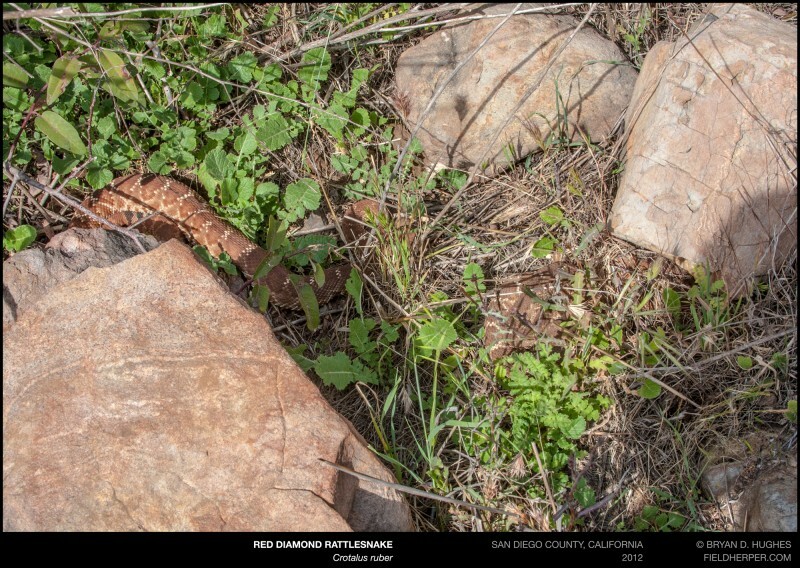 If we find 10 snakes, maybe 3 can produce a decent photo. Regardless, it’s not worth disturbing the animals to get more. Some light grass moving happens though, which has become the primary purpose of my snake hook in recent years. We get out there once or twice a year and it’s become kind of a tradition. I really enjoy finding these snakes, though the trip itself and the company is enjoyable enough that I can’t help but think I’ve built a bias around the whole thing. It’s a very happy, peaceful experience to walk down that dirt road to the vehicle at the end of the day after a long, successful hunt with my friends in such a place. 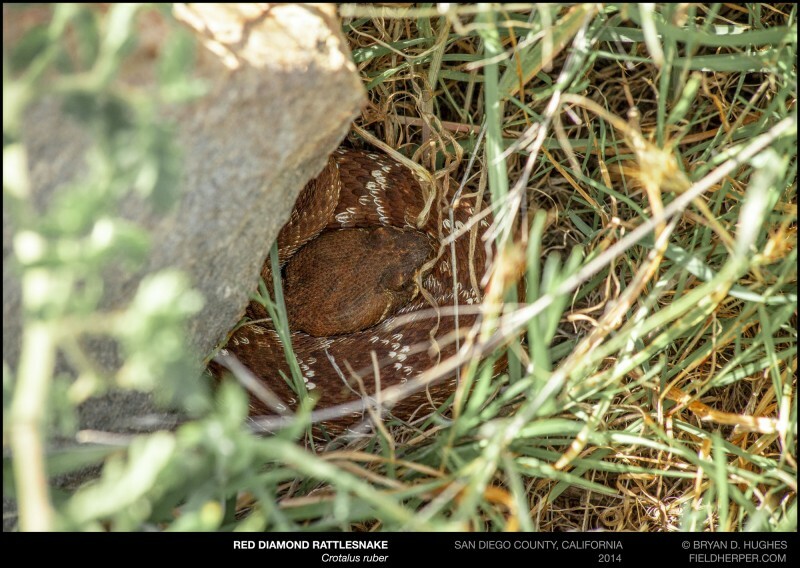 This entry was posted on Friday, October 24th, 2014 at 8:48 am	and is filed under Field Herping, Field Trips, Personal, Snakes. You can follow any responses to this entry through the RSS 2.0 feed. You can leave a response, or trackback from your own site.